For The Shot Nurse Can Come to You! 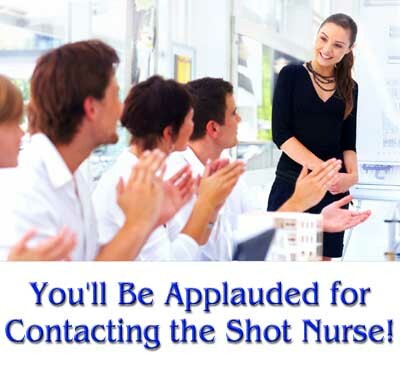 The Shot Nurse will visit your facility to provide any of our services. 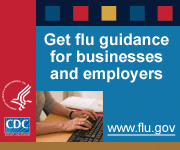 Whether it's Flu Shots in the fall, year round Vitamin B12 Shots, Lipo Shots, Travel Vaccinations or whatever your group needs, The Shot Nurse can provide it on site. The company or individuals may pay as a group or individually. Participants can also pay with a credit card by using our convenient on-line prepay option. We have three convenient locations where participants may stop by to receive their vaccination should they miss the on-site appointment. The Shot Nurse makes it fast and easy to get the Protection You Need with a Personal Touch!